Roots Tech never disappoints! I spent most of my time in the Media Hub again this year. The lineup of speakers were awesome. There was Brandon Stanton, Scott Hamilton, Natalia Lafourcade, and Henry Lewis Gates. 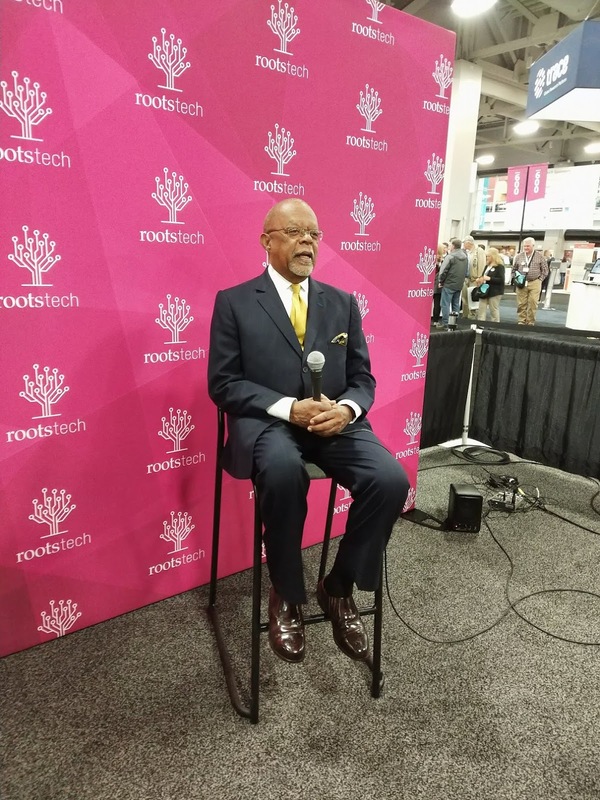 If you missed Roots Tech this year, I say, these speakers alone were worth the registration fee. 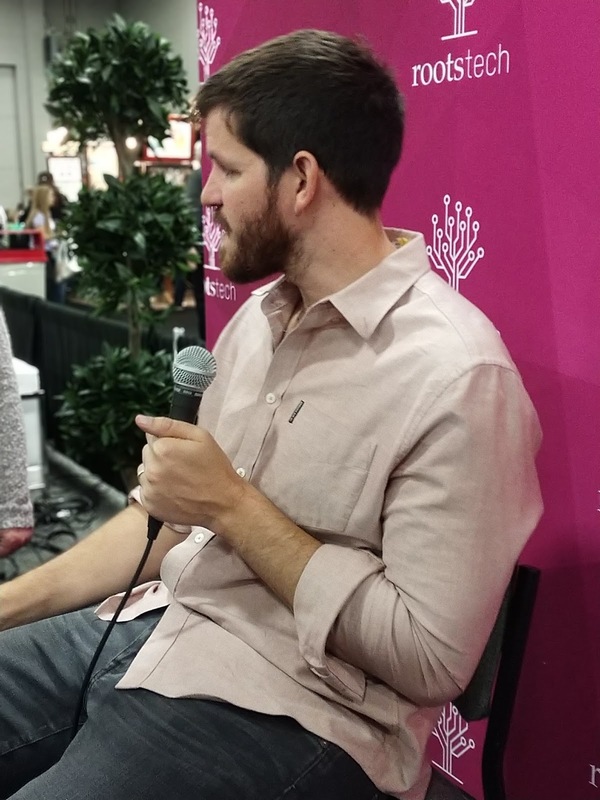 I had the opportunity of interviewing each of them. Every year I’m impressed with the keynote speakers (and I’ve attended every RootsTech but one). If you decided not to come this year, these presentations were also live streamed, so I hope you got the message of hope, love, endurance, unity and family. The issue with staying at home, is you have no idea what the energy is like or how easy it is to meet that smiling person across the room. I always think “there are no strangers here.” I see my Belgium friends, my Australian friends, my South African friends, once a year. That’s a reason to be present. Sure, we all connect on social media – facebook, blog comments, Linkedin, Instagram, and of course Twitter (that’s my go to, when I need answers)- but we catch up during this four day frenzy. Then we add another dozen or so more BFF’s to the list for next year. If I had to encapsulate this year’s trends I would say “buy up, partner up.” I’ve never seen the likes. I attended 4 meetings just on business dealings between companies. It’s all about aligning your business. And of course, everyone is aligning with DNA experts and companies. The a3Genealogy team will making their DNA partner announcement soon. We have been working for a year now, on the partnership, it’s going swimmingly, so we are ready to dive in. 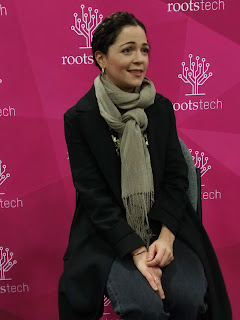 By the way, we connected at RootsTech 2017! I look forward to telling you more about our media use of this exciting proprietary DNA database and the partnership that has helped us solve some exciting brickwall discoveries of non-paternal and adoption cases this past year. 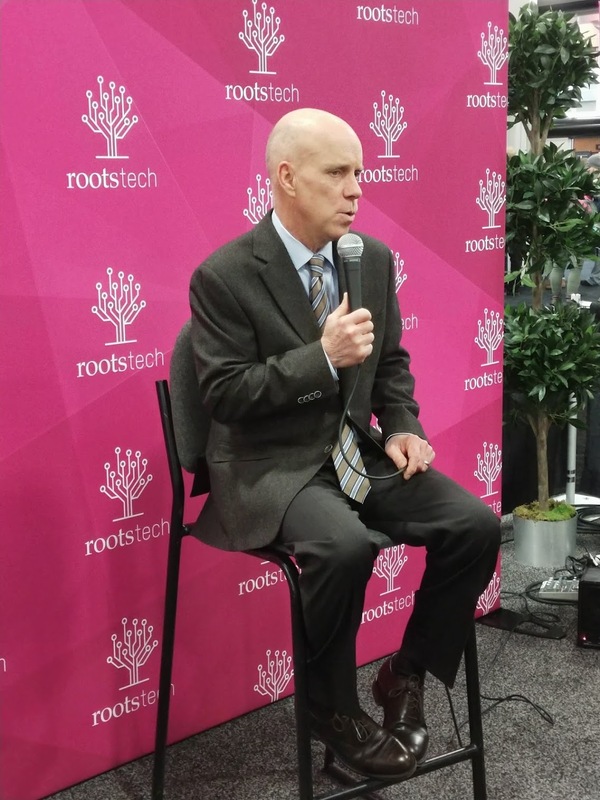 Hope to see you next year at RootsTech 2019. Save the date: 27 Feb - 2 March, 2019. Be sure to keep an eye on the RootsTech blog. Kathleen, I can't believe that I didn't see you at RootsTech this year! It was my first year attending. Maybe next year.